The Healthcare and Medicine sector is one of the few industry verticals that has benefited a lot from recent innovations in the field of technology. Emerging technologies like blockchain and artificial intelligence are also being integrated with advantaged healthcare mobile applications. Now, one of the questions that we get asked a lot on the internet is 'how to design and develop a mobile app'. 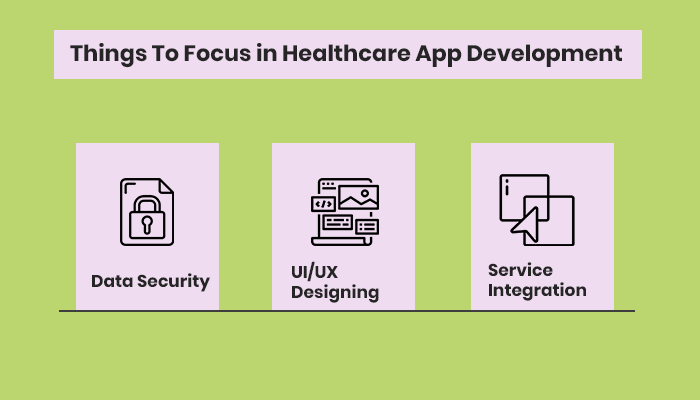 That's why we at 'MobileAppDaily' decided to share some crucial information on how to develop a healthcare app through this short and meaningful app development guide. According to a report released by Allied Market Research, the global mobile health market is estimated to grow at a compound annual growth rate of more than 33 percent in the next two years. In yet another report published by the Statista, the increase in the mobile health apps in the upcoming years. 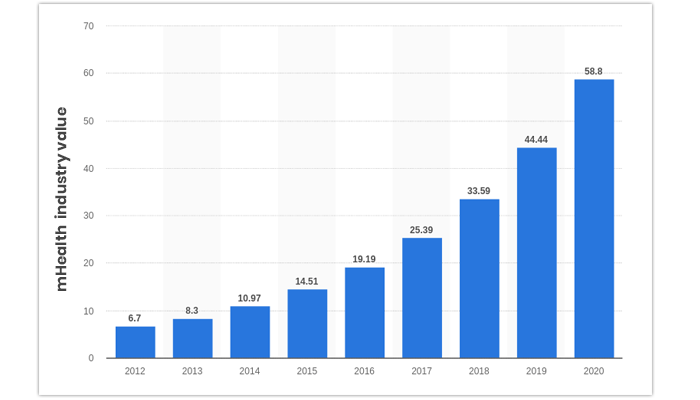 As per the statistics, in 2017 the worth of mhealth industry was $25.39 billion U.S. dollars and by the end of 2020, the total healthcare app development revenue will cross the threshold of $58.8 billion U.S. dollars. Here is the graph for the same. To design and develop an effective as well as efficient healthcare app is not easy as the there are many challenges faced by the web and mobile app developers. At present, there are millions of healthcare applications in the market that are built by healthcare mobile app development companies. 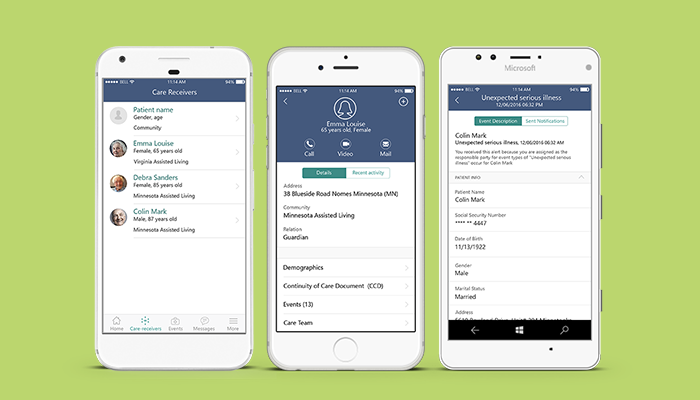 The patient's medical reports can be sent online via these healthcare mobile apps. Features like inbuilt messenger help to maintain easy and quick communication. The users can see their lab results as well as report analysis on their smartphones. 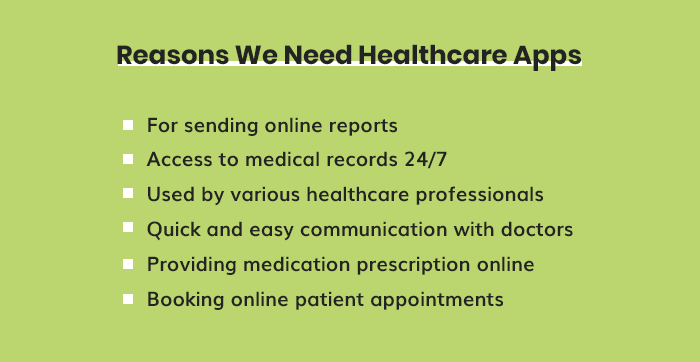 With these healthcare applications, each patient can maintain his/her own medical record with a 24/7 accessibility. Doctors can directly send patients' exercise recommendations to them with video tutorials. Healthcare mobile apps can be used by various healthcare professionals Surgeons, Nutritionists, Physiotherapist etc. Doctors can even provide medical prescriptions to their patients through mhealth applications. Apart from this, medical healthcare applications can even be used to book an appointment or visit with the regular doctor. This will be based on different factors like work experience, qualifications, route directions to the doctor's clinic etc as per the users' requirements. In one of our previous articles, we have elaborated on the benefits of healthcare mobile apps so if you want to get some in-depth insights on it, here it is ‘Benefits Of On-Demand Healthcare Mobile Apps’. With that being said, let’s go straight to the different types of healthcare applications currently available. Reminder feature to set alerts for hospital appointments. The next category is the regular healthcare apps which can also be referred to as daily health applications. 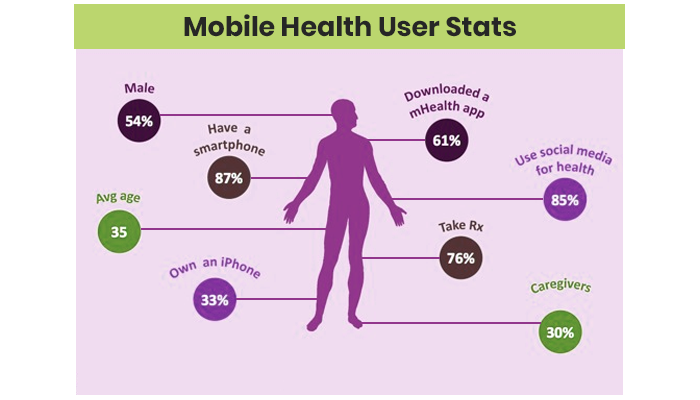 These mhealth applications are those that are used by users to keep track of their daily activities. This includes factors like nutrition counts and sleeping routine as well. These health mobile apps should be able to properly measure the users' metrics and analyze them to provide accurate results based on the medical history of the users. Because these medical apps keep track of activities like sleeping, running, etc. a necessary feature required by them is a tracker. Some of the different tasks performed by the tracker are to track fluid consumption, blood pressure, heartbeat, counting steps and the total amount of calories burned. Another must-have feature is that of push notifications, to keep health app users updated. Such healthcare mobile applications usually monetize themselves through the subscription model of prepaid services. For instance, the well-known mobile app known as Headspace is based on a monthly subscription model. As an app developer, you also have the choice to include advertisements in your application. As the same suggests, this is a healthcare and medical application type that is related to software. As a medical and healthcare solution, the functions performed by it are complex in its nature. Some of the complex tasks include several algorithms and detailed symptom descriptions for performing operations like disease diagnosis. Here, one of the crucial stages is the testing of the medical software by performing several test cases on different patients and obtaining their data to reach a conclusion. The Electronic Medical Record application is also known as the EMR app, where patients can finalize hospitals for their treatment from various options instead of choosing a particular clinic. This type of healthcare apps provides an additional 'Diversity Function' in the whole procedure. One of the ways to convert these applications profitable is by offering their services as a custom system. The majority of the EMR app features remain the same as the other healthcare mobile apps exception for the feature of an online video consultation. This audio and visual consultation by medical professionals can act as part of telemedicine and help in observing the patient's condition with a closer look. This also leads to impacting user acquisition with the implementation of algorithms based on the blockchain, artificial intelligence and machine learning technology. A great example of this is an ongoing project by Windows known as the Genius InnerEye project that is integrating advanced machine learning and AI technologies to build tools to perform a three-dimensional automated quantitative analysis. When it comes to protecting the healthcare records of millions of patients the rules regarding data security and confidentiality of information are different. A few examples of such security regulations are the Personal Information Protection and Electronic Documents Act (PIPEDA), Data Protection Directive 1995/46/EC (Section 2.1) and e-Privacy Directive 2002/58/EC (Section 2.2). The aim of these data protection laws is to ensure the security of patients' medical data and healthcare records from being administered for different businesses. These rules and regulations differ from one country to another which further means that your healthcare mobile app must follow the rules of those locations where your application is accessible. In a number of our previous articles, we have constantly showcased the importance of User Interface and User Experience designing strategies for an app development project. And the same thing applies to healthcare application development projects as well. Make sure that your medical health app has a very user-friendly UI/UX that can be easily navigated by users. The information that is entered in these applications is for the diagnosis purposes of the diseases that are underlying. That's why the user interface should be very simple and effortless to work with. Another important thing that a healthcare app developer needs to focus on is the app's integration with emergency services and many other related services. Service integration is something that adds value to your mobile/web app while ensuring maximum effectiveness. Some of the emergency services that can be integrated with your healthcare and medical app are ICU on wheels and Ambulances on call etc. The app owners can even incorporate the option of providing online pharmacies from where patients can fill up their regular medication prescriptions. Apart from the above-mentioned points, you should also focus on app testing as it is a very important stage in building an application. With testing, you get to know more about what the app responsiveness is in many adverse situations and use cases. In case you are wondering about designing and developing your very own healthcare application then you need to start to look at some of the top healthcare app development companies to hire for your project. To build an average healthcare app, 1500 to 3000 hours are required depending on the level of complexity of the health project. 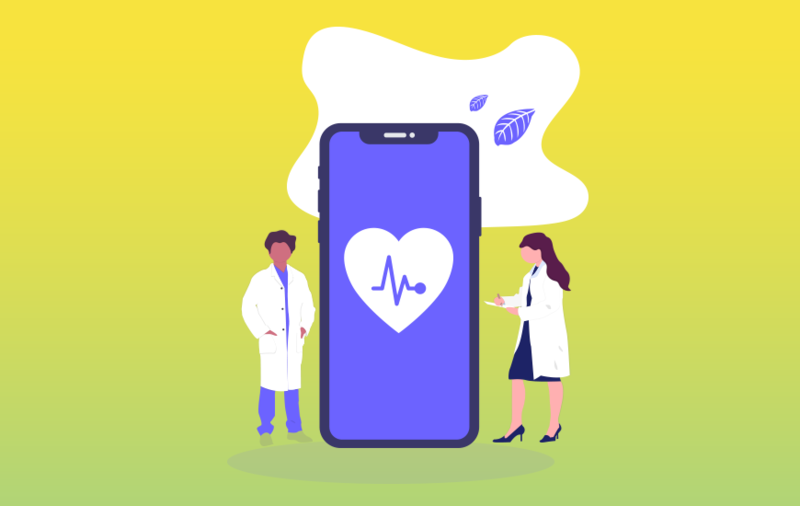 The total cost of a health and medical app development project depends on a number of different platforms such as the development platforms, the array of features etc. On average, the prices charged by app developers range from $40 to $60 for a healthcare digital solution. We also don’t recommend hiring freelancers for your health-related application as they might be able to deliver the level of professionalism required in order to make the project a success. We hope that with the help of this article, some of your questions regarding healthcare app development are answered. And in case, you still have some queries regarding the healthcare apps then feel free to contact us or you can even leave a 'Comment' in the section down below. To keep up-to-date with the latest happenings in the mobile app industry, click on that ‘Subscribe’ button. How Cloud Technology Helping App Development World? PHP Vs NodeJS: Which Platform Is Superior?